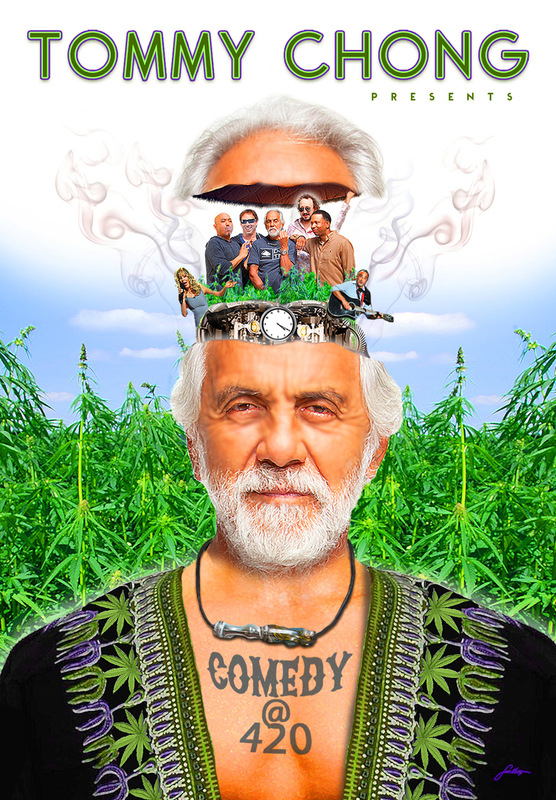 Lolflix.com releases Tommy Chong’s latest special “Tommy Chong Presents Comedy @420” on 4/20/14 featuring comedians Shelby Chong, Edwin San Juan, Chris Porter, Jay Phillips and Eddie Ifft. Grammy Award winning comedian Tommy Chong is legendary for his invaluable contribution to American counter-culture as part of the iconic comedy duo Cheech & Chong. Tommy Chong hosts Comedy@420 presenting some of his favorite comedians including; Shelby Chong (“Cheech & Chong’s The Corsican Brothers”), Edwin San Juan (“Gabriel Iglesias Presents Stand Up Revolution”), Chris Porter (“Last Comic Standing”), Jay Phillips (“Semi-Pro”, “Baby Mama”), Eddie Ifft (FX’s “Legit”) and special music performance by Mark Cohen performing his cult hit “Totally Baked”. “Comedy @420” first premiered on Showtime Network on 4/20/13 and fans can now purchase the DVD or video download at http://www.lolflix.com. Founded by Director Scott Montoya lolflix.com is a web based original stand-up comedy content creator that presents 100’s of exclusive stand-up comedy performances from LOL Comedy Inc. and lolflix.com Stand-Up Comedy Films. These performances can be viewed either in whole or in part through ad supported full length shows, full comedian sets and selected comedy clips. All comedic performances featured on lolflix.com have premiered on the Showtime Network and are presented in their original HD version uncensored, uncut and unapologetic. The lolflix.com VOD STORE is a DRM free download to own and stream platform that distributes all of its own originally produced content directly from the creators. LOL Comedy connoisseurs can purchase LOL Comedy Presents and lolflix.com original full feature films in their entirety commercial free and download to own or stream directly to their computer from lolflix.com VOD STORE for just $5.00.